Welcome to AirComfort’s VIP text program – your first savings has arrived! Prepare your home for winter with our no breakdown promise. 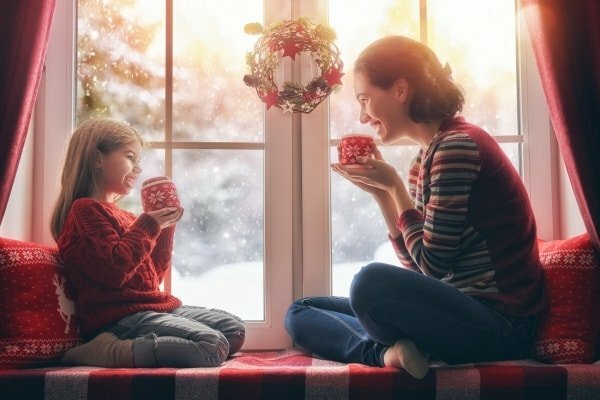 AirComfort Heating & Cooling’s comprehensive heating system tune-ups get your equipment ready to face the cold weather ahead, ensuring optimal performance and energy efficiency to keep your family warm and cozy all season long. Once your tune-up is complete, we guarantee your heating system will be free of breakdowns during the heating season, or we’ll refund the cost of your tune-up toward any needed repairs we make. Invest in the essential maintenance your heating system needs this season without risk. *May not be combined with any other offer. Our $129 no breakdown tune-up is already a great deal – as a VIP text member, your savings are even greater! For only $109, our highly skilled HVAC technicians perform the inspection, diagnostics, and maintenance your furnace or heat pump needs to run smoothly all winter long. Your membership gives you access to additional savings, making investing in your heating system’s performance an even better deal! I had a great experience working with Air Comfort Heating & Cooling. I used them most recently to do some adjusting work for my furnace and I was very happy with the results I got from them. They delivered great customer service and great quality. I didn’t have any problems with the results that I got from them, and I appreciate the team coming out to do the work efficiently. I give them high marks all around and I hope they keep it up. 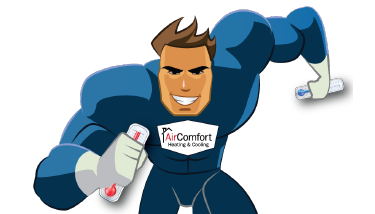 I had a very nice experience with Air Comfort Heating & Cooling. They just checked the furnace I own for the winter time. I have been with them for some time now and the staff is great and they have given me excellent results. The quality of their work meets my standards and I would definitely recommend them to other people. I think that the pricing for their work is fine, and I haven’t had any problems with them so far. I hope they keep up the good work. 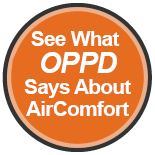 My family has been using Air Comfort Heating & Cooling for several years. We moved homes recently and had them come out to check out the systems in the new home. The technicians and office team really add a personal touch to everything they do. The technicians are professional, friendly, and I appreciate that they don’t try to sell me things I don’t need. I recommend Air Comfort to others! 17 years ago, my wife called Air Comfort Heating & Cooling to install a brand new HVAC system in our home. Since then we have them come around every spring to do a check up on the air conditioning unit and in fall to do a check up on the furnace. I don’t even have to make an appointment, they call me to let me know it’s time for another service and set up the appointment. The price has only gone up a dollar in the past 17 years, so it’s a great deal. The technicians are always friendly and clean up after themselves. I highly recommend them! You’re on Your Way To Savings! Fill out the information below and we’ll contact you to set up your savings.